If you have a Android device, you may consider upping ROM to add more features and optimize your device. However, you may face to some problems after upping ROM, such as your device cannot start normally. What should we do with such problems? If you flash a new ROM and your device cannot go to the homescreen, you might forget to wipe your data (address, messages, apps…). Before upping a new ROM, you should wipe all data first. To wipe your device, you can use the recovery tool which is used for flashing ROM (ClockworkMod Recovery, AmonRA or Open Recovery,...). Try to find something like “wipe data/factory reset” and “wipe cache partition” (use Volume Up and Down buttons for moving and Power button for choosing). Then, go to Advance > Wipe Dalvik Cache to clear Dalvik memory. Reboot your device to see result. In the case you reboot your device and it goes directly to ClockworkMod (or similar recovery tools), the flashed ROM may contain errors. First, reboot your device one more time to check. If the error still remains, try one of 2 solutions: download the ROM again (some errors may occur when downloading) or find a new ROM (you may use the previously stable version). If this error occurs, there are some conflicts between the hardware and software. The best solution for this case is to use the original ROM. 3. Install above downloaded softs. 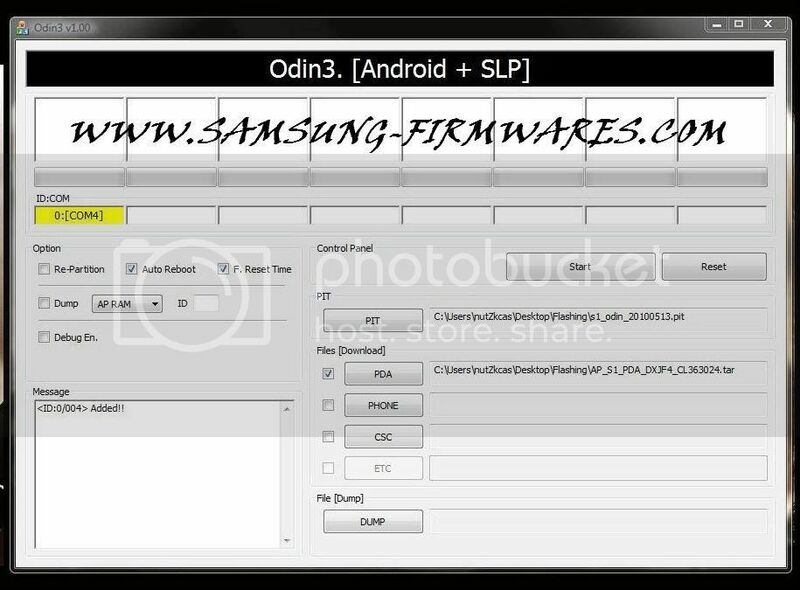 Download and unzip to have the firmware file *.sbf. 5. Check your battery (the battery should be more than 70%). 6. Open RSD Lite on PC. 7. Turn off your phone, connect it and PC via USB. 8. Go to bootloader (not recovery mode). 9. Browse to the firmware file with RSD LITE on your PC. 10. Click Start to start the flashing process. II. HTC: you can flash the original ROM (also called RUU) inside the bootloader. First, using Google to find an RUU for your device. After unzipping, rename and copy the firmware file to your SD Card. Start your device and press and hold Power and Volume Down buttons at the same time to go to Bootloader. Your device will detect the RUU file and ask to flash. Choose “Yes” to continue. III. 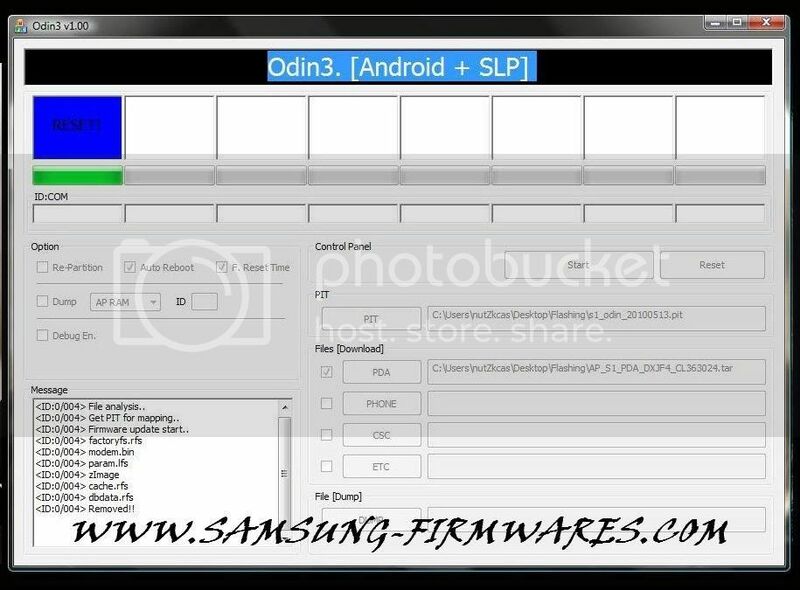 Samsung: If you use Galaxy series, you can use Odin to flash the original ROM (OPS file). 3. Open Oldin, in PDA browse and choose the original ROM, in PIT browse to PIT file. 4. Remove SD Card and sim from your device. 5. Go to Download mode (reboot, press and hold Volume Up and Down buttons and connect your device with PC via USB until “Downloading” appears on the screen. Uncheck re-partition and click Start. Wait until the process is complete and reboot your device. IV. LG: Download Software Update [KDZ] and unzip to a folder. For example, you unzip into "D:\Android\KDZ_FW_UPD_EN". Before running this soft, you need to install MSXML 4.0 SP3 Parser (can be found inside the unzipped folder) first. - And click Open and browse to the original ROM (*.kdz). Click “Launch software update” to start. V. Dell Streak: (in Fastboot Mode, to go to this mode: press and hold Camera button when booting and choose Fastboot) use CLOCKWORK RECOVERY (for Windows, Mac, Linux) and copy “recovery.img” into the same folder. 2) Install Sony Ericsson PC Companion, plug x10, click Mount--> check update. If update is not available, uninstall Sony Ericsson PC Companion. 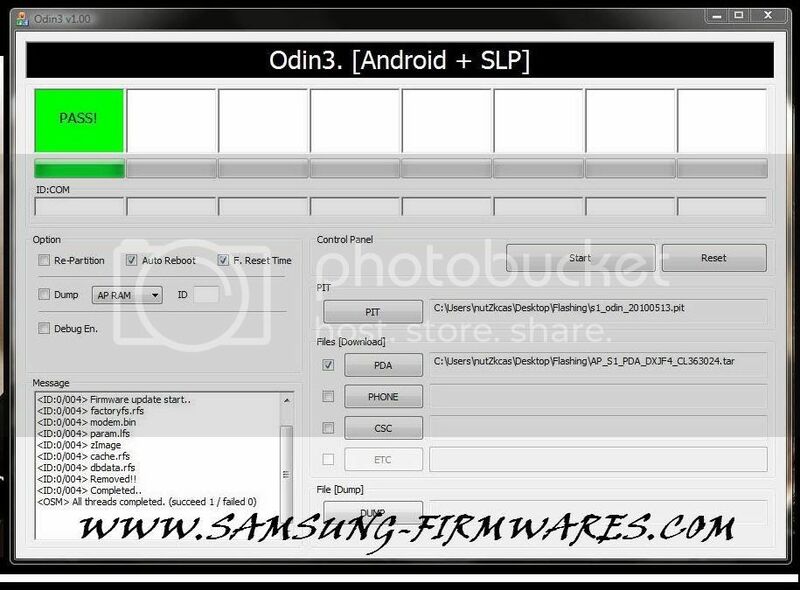 4) Restart your computer, unzip 2 files that are just downloaded and copy all *.sin files from folder “2-1-nordic-dec” to “X10Flash-2.1\Firmware”. + Go to Run, type “regedit” > OK and search “USB\Vid_0fce&Pid_adde” and you can find the device id like “USB\Vid_0fce&Pid_adde\1&23cfa456&7&8”. + Press F2 and copy 1&23cfa456&7&8 into DevID.txt in “X10Flash-2.1” and save. 6) Run X10flash .bat, choose 1, Y, choose OS. 7) Plug X10 and go to flash mode (turn of device more than 5s, plus USB cable to PC, press and hold Back button on X10 and plug USB to x10 (green light = ok). 8) press Enter in flasher, wait 2-3s and press Enter, unplug cable, turn your phone on and wait 2-3s for updating. If your device is bricked, we cannot do anything with it. You don’t need to worry much because this error rarely occurs (usually because the device runs off battery when upping ROM).